Technology provided us everything. It has changed a lot of our lifestyle. But if we have a personal transportation mode in the sky, there will be no issues of traffic to go to our office in the mornings, we can reach our destination fast and with comfort. 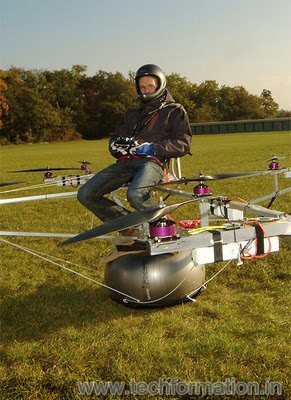 German company E-Volvo desogned a working prototype of a personalised flying helicopter type vehicle called Multicopter. 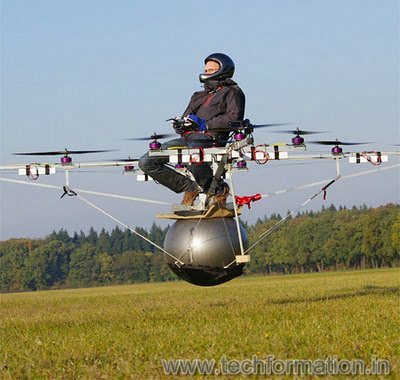 With this vehicle the driver can sit comfortably and can take of an land similar to a helicopter. A simple joystick can control all the movements.